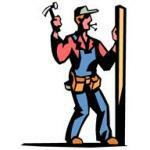 Working with contractors tip number one, you should always hire a licensed contractor. When doing a major home improvement project like installing vinyl siding, you should hire the best licensed contractor that you can afford. Why? Licensed contractors have studied the trade and taken courses and classes that the State and County considers necessary in order to issue a license to do that work. And they require that the contractor have sufficient insurance to protect the homeowner before issuing the license. Do Your Homework Learn a little information about vinyl siding so you can talk intelligently to the contractor. Pick out several types and styles that you like and think will look good on your house. Go to Home Depot and Lowe's and look at all their vinyl siding on display. Finding the right vinyl siding contractor is easy once you have the type and style of vinyl siding already picked out. You have already measured your house and know that you need approximately 1,500 sq ft of vinyl siding. You have chosen the perfect style of vinyl siding for your home, say clapboard, in Savannah Wicker color in .046 mm premium grade, now it's time to find a contractor. Go to several local home improvement stores and ask the sales people in the vinyl siding department who some good vinyl siding contractors are. Local contractors that buy their vinyl siding there will have relationships with the sales people. Most home improvement stores have bulletin boards where different contractors pin their business cards. Copy down a few names. Be sure to Google vinyl siding contractors in your area. Google will pull up every one of them! Just remember to always use a licensed contractor. Be sure to write down all the names in your project workbook for future review in case you need to call additional contractors. You don't want to have to drive back out to the home improvement stores just to get more names. How To Find The Perfect Vinyl Siding for your house. How To Measure Your House. We called five contractors before we finally picked the very best one. Do you have a great story about picking the best contractor? Or, how about picking the contractor from hell...Share it! Do you have some before and after pictures? Share them too! Once you have four or five names, it is just a matter of calling each one and setting up appointments. Some will be too busy to set an appointment, and some will be backed-up with work for months so you will need to call a few to get several to actually come by your house. How Many Vinyl Siding Contractors Should I Call? You should call at least three different vinyl siding installers to get prices. Three different price quotes is plenty if you have asked the right questions. More than three gets confusing and the time you waste going over the same information can be better spent on other things. We are assuming that you are not going to try and install the vinyl siding yourself. This is a speciality profession and you need to hire the best vinyl siding installer that you can afford. Why call only three vinyl siding contractors? We suggest you call at least three different licensed vinyl siding contractors. Every contractor uses different products, will have different methods of installing the vinyl siding, and the types of repair work they will do. It is important to talk to several different installers in order to get different perspectives on doing your project. If you only talk to one, then what would you compare the price too? 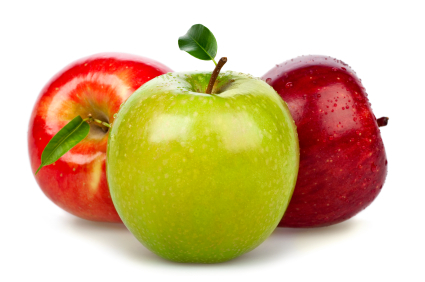 If you only talk to one or two contractors, then how would you compare their prices apples 2 apples? All contractors will need to know how much labor will be involved to install vinyl siding on your house. The labor cost is the unknown number. You already know the price of the vinyl siding. Now you want to get the contractors labor costs. Contractors will need to come to your house in order to see how hard it will be to install vinyl siding on your house. The harder it is to install the higher the cost of installation will be. So I call three different vinyl siding contractors and pick the lowest price, right? Wrong. You will choose the right contractor for your project not on his pricing, per say, but on how good you think he will make your house look. Click here to go back to How To Buy Vinyl Siding.